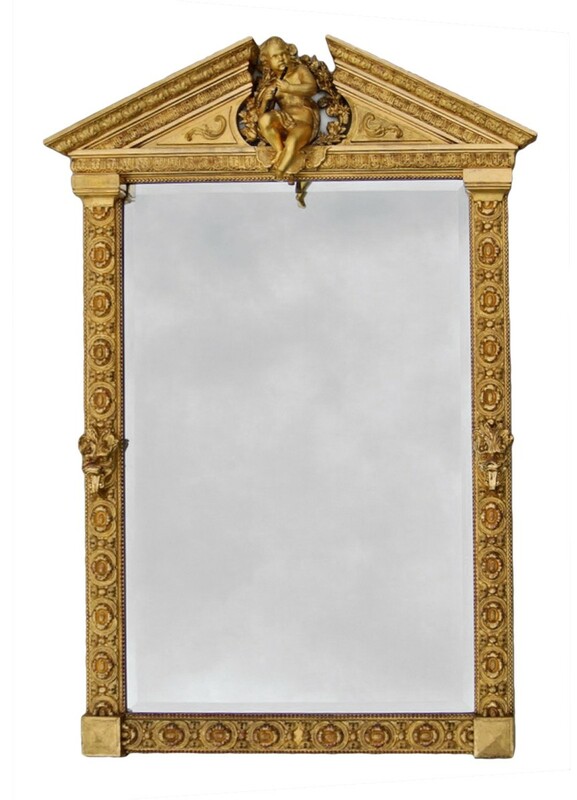 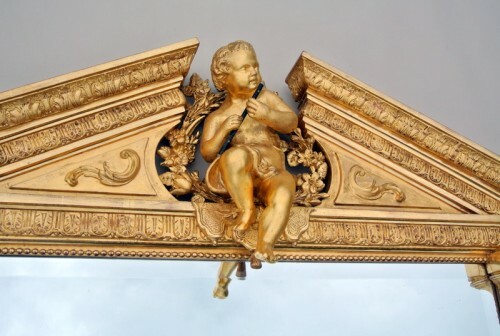 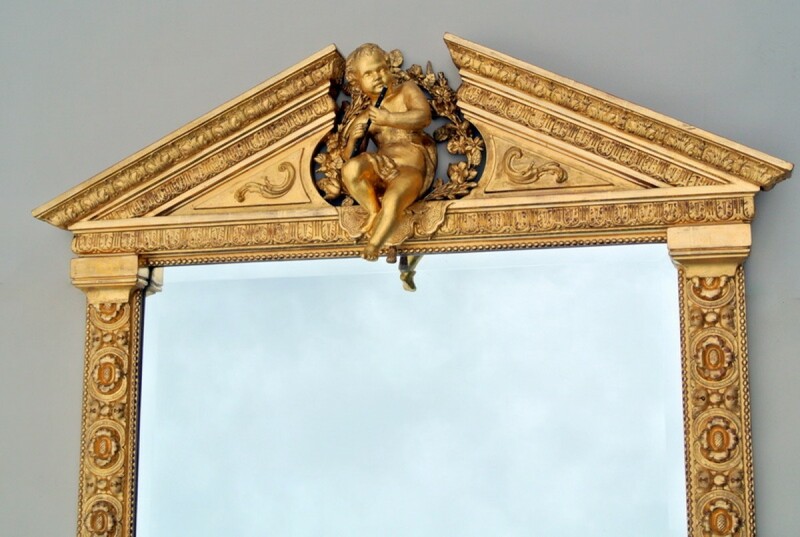 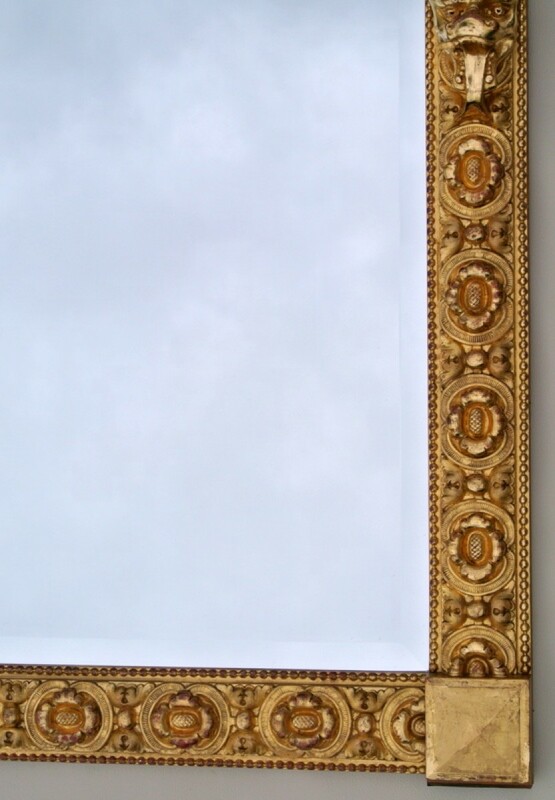 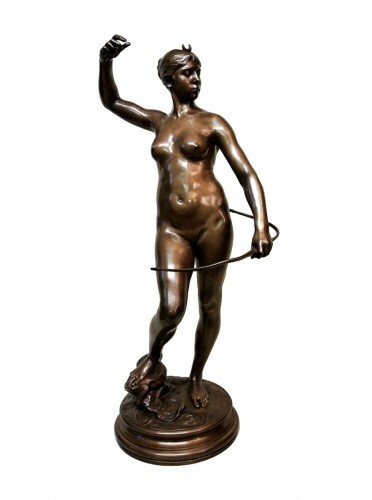 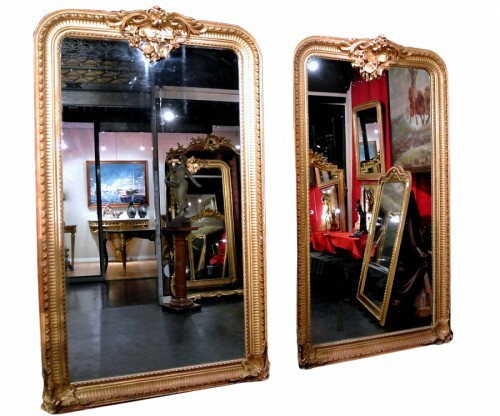 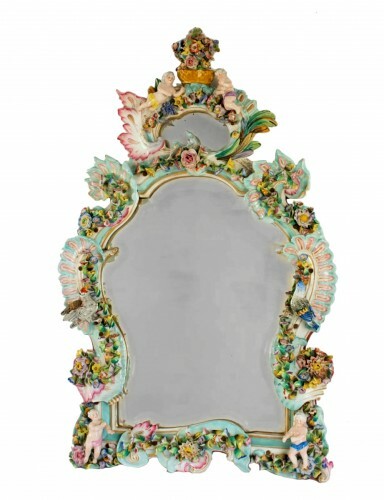 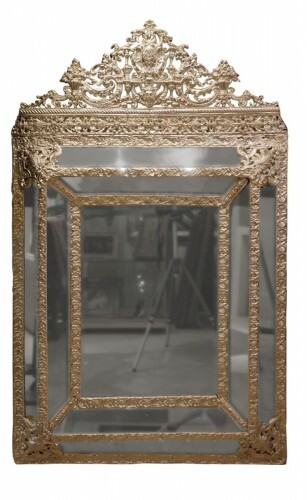 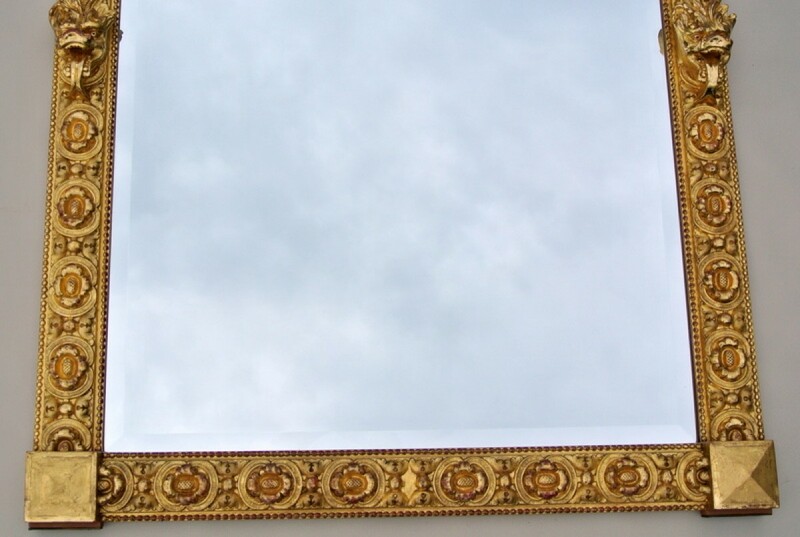 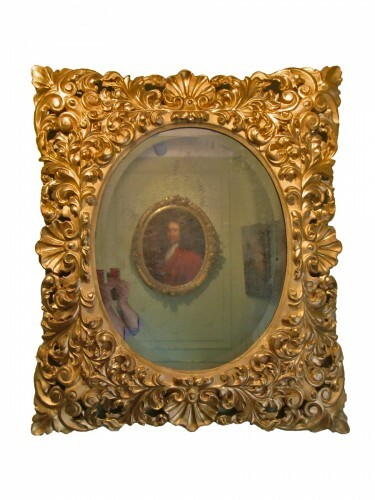 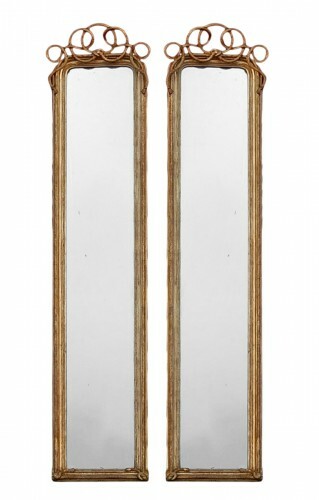 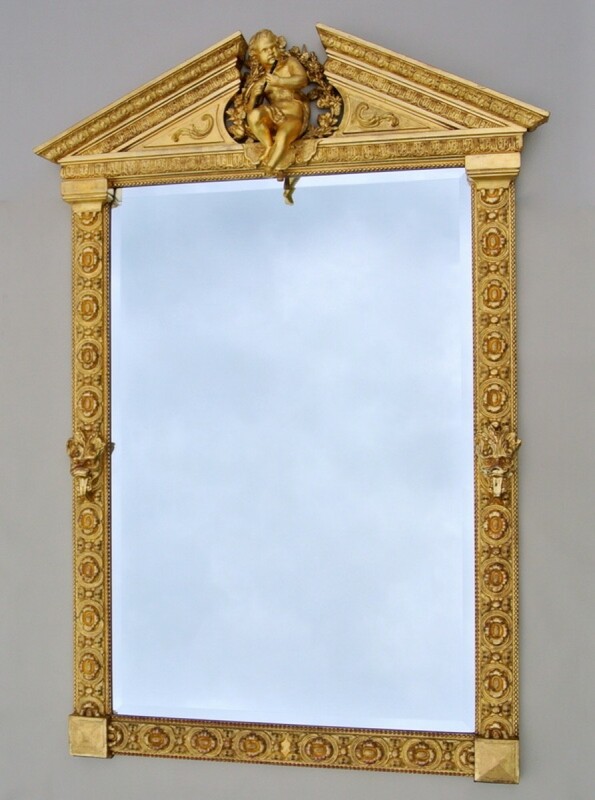 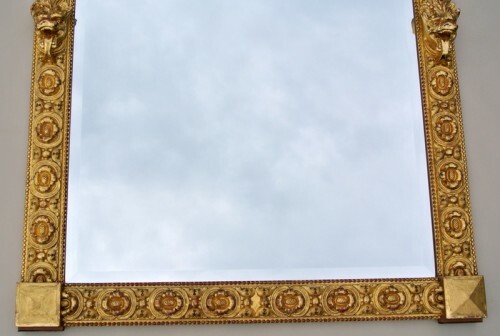 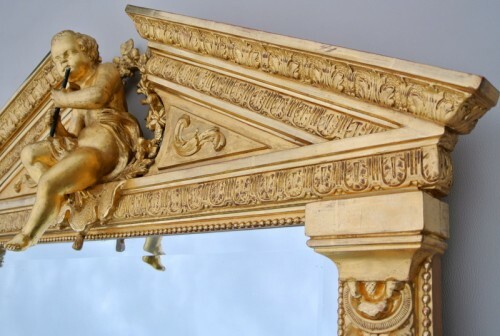 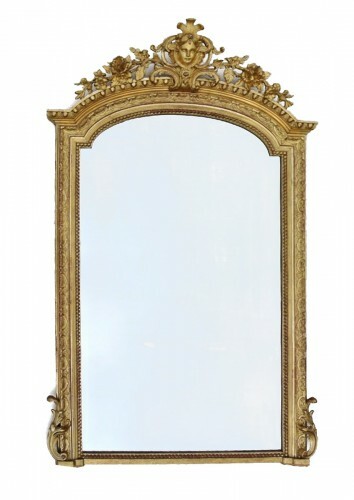 Mirror with pediment to the Putto musician, produced towards the end of the nineteenth century, framing architected in a neoclassical and theatrical spirit with many elements of decoration (heads of fantastic animals, volutes, diamond Spikes...). 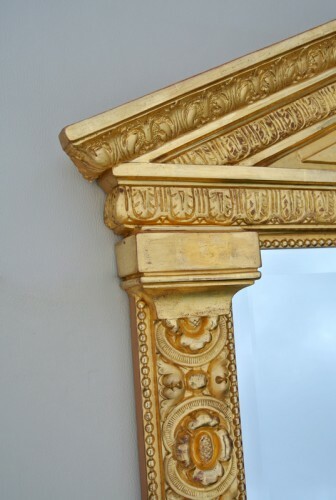 gilding Original gold leaf, beveled glass replaced, original background. 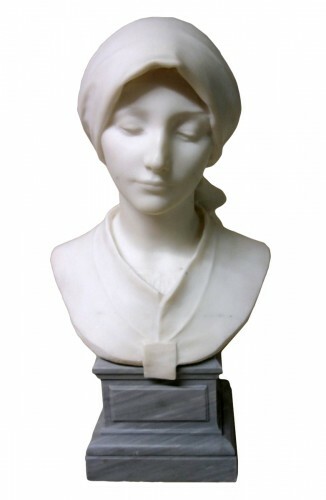 Very nice general condition, presence of the stamp H DAVID dangler Gilder in Clermont-Ferrand. 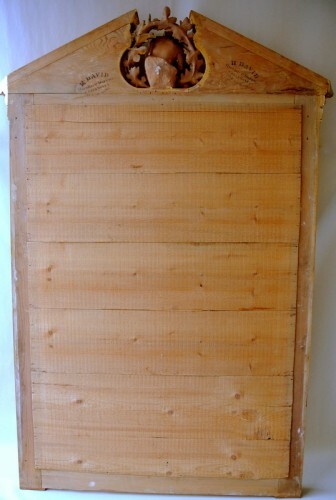 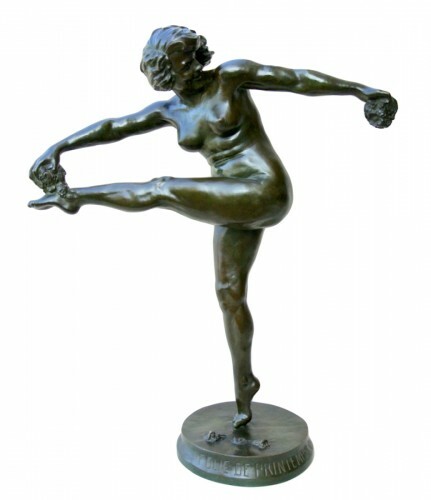 Maximum width at marquee 112 cm, frame 98 cm.